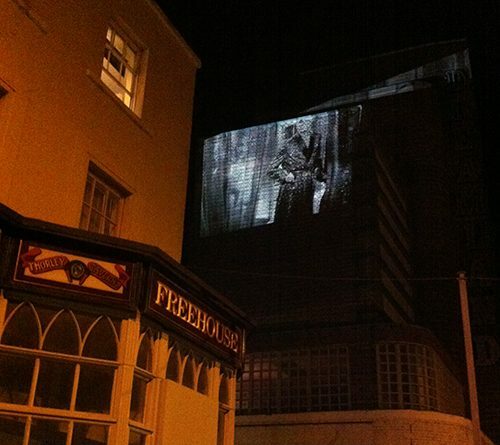 On Sunday 22nd March, Howard Griffin, MA Architecture and Visualisation Programme Director successfully projected onto the side of the old Dreamland cinema building in Margate. The Painted Veil, starring Greta Garbo, Herbert Marshall and George Brent was the first feature film to be shown at the original cinema, which was built after the success of the Dreamland Amusement Park and was opened to the public on the 22nd March 1935. Howard is also currently working with The Dreamland Trust to produce a series of time-lapse videos which show the restoration work being undertaken at the park, including the restoration of the Scenic Railway. To view Howard’s other work and find out more, please visit www.photogriffin.com.